Charles Postlewate Five-Finger Technique for the Right-Hand download free. 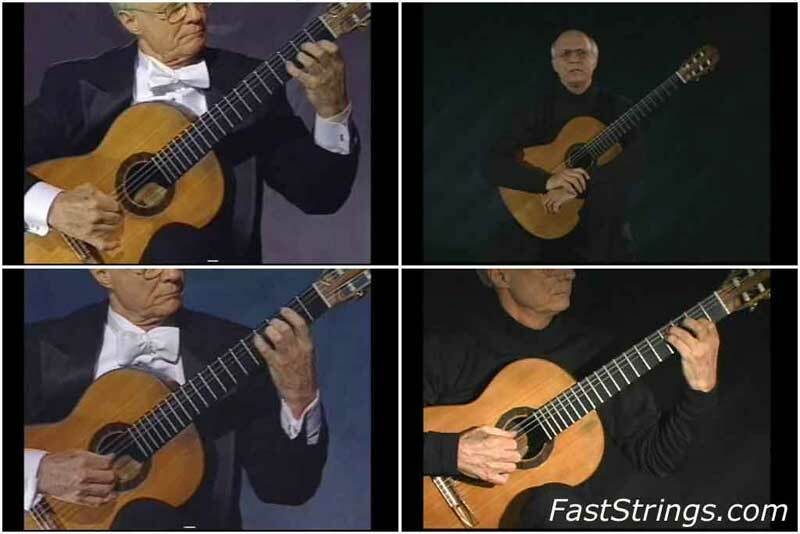 This two-hour DVD is a presentation of the 19-year project by Charles Postlewate on extending right hand technique for guitar to include the little finger. PART I presents this technique in actual repertoire, including standard guitar repertoire (by Barrios, Sor, Torroba and Villa-Lobos), new arrangements & transcriptions and original compositions. It features complete performances of twelve pieces recorded on Postlewate’s Homage to Villa-Lobos CD and published in the book by the same name. Each performance is introduced by Postlewate with explanations and demonstrations of how and where the little finger is used in the execution of scales, chords, arpeggios, tremolos and harmonics, with close-up shots of the right hand. PART II explains the training of the right hand in a five-finger technique, with demonstrations of the above techniques using sample studies from the different chapters of his book, Right-Hand Studies for Five Fingers. As in PART I, close-up shots show the viewer precisely how to position the right hand and move the fingers for each study or set of studies. Each set of studies uses a special progression up and down the fingerboard and, like the book, this video demonstrates how to make chromatic variations of these progressions to increase the interest. At the end of PART II Postlewate demonstrates how the guitarist can develop similar studies to fit specific right-hand problems not covered in this book and video. The video ends with an ENCORE interview of five questions and answers with Charles Postlewate to give some background information on this historic project.